Through our participatory design with older adults a theme of error support for texting on smartphones emerged. Here we present the MaxieKeyboard based on the outcomes from this process. 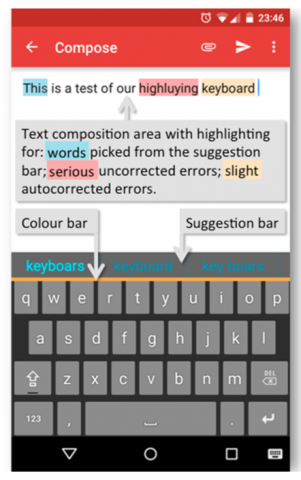 The keyboard highlights errors, autocorrections and suggestion bar usage in the composition area and gives feedback on the keyboard on typing correctness. Our older adults groups have shown strong support for the keyboard.